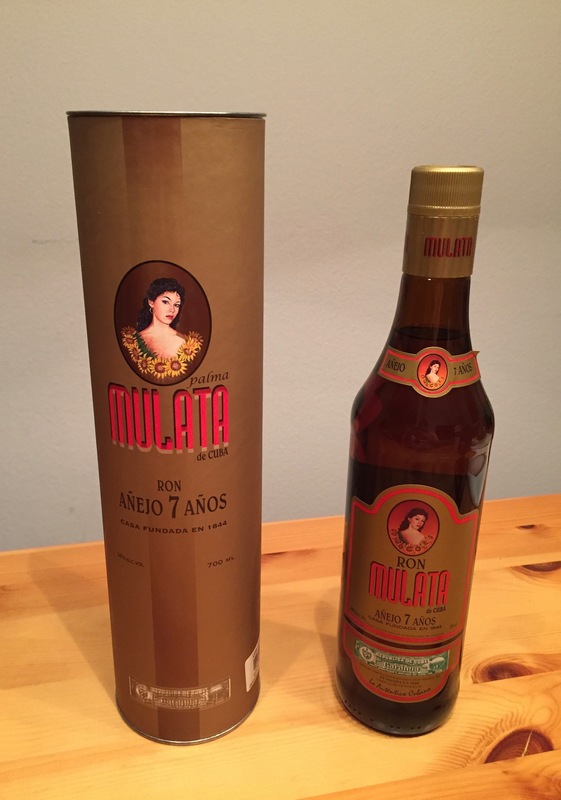 Have you found an online vendor selling Ron Mulata Anejo 7-Years? 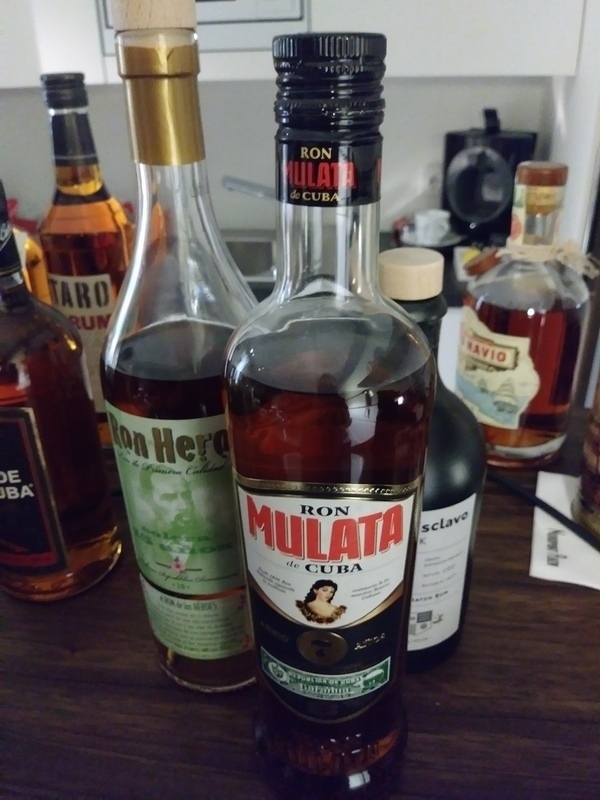 Ron Mulata 7y is a very good rum to be mixed with Coke. Its super dry, so it needs more sweetness. Excellent label design and mediocre bottle design. Golden color. A lot of burn when enjoyed neat, but excellent with Coke. For that price ..its a good rum. Get a bottle if you can! Nice with mixers but harsh on the tongue as a sipper. Ok but nothing special to me, dry without a lot of body. Pur nur bedingt zu empfehlen. Dafür sehr gut zum mixen geeignet. Smokey, caramel, thin, not too sweet, enjoyable, good priced. Nice on the rocks. Easy drink. Middle class. I liked this 7 aged rum 's smokey taste. A little bit thin, not so sweet - great choice with this price. A middle class, but cheap rum - a good drink not for the best occasions. An interesting flavour. Almost as a brandy. Could have fruits added to it, I am not syre. Molasses flavor but somewhat damp yet still drinkable, ok taste but nothing complex. Tohle mozna tak do koktejlu (zadny me nenapada). Samotny se to pit rozhodne neda. Ani vzhled lahve nemotivuje ke koupi. Za ty penize se da koupit vic. not the type of rum you would offer your best friends and not the type of rum you might enjoy at the end of a good day. This rum has a mid size body and the finish is not too long. The initial taste reveals a somewhat metallic element. But nevertheless an attractive value at the given Aldi-price. So if you are just looking for an easy rum without too much deepness this might be worth a try. When times are tough and rum is too expensive, but your taste is too atuned to go full store brand rum. Go to Ron mulata Anejo 7. Because when your compition is captain Morgan’s spiced, you can afford to be average. Leaving Cuba this was about Half the cost of the Havana Club 7. Due to it's lower proof and tinge of youthful bite it doesn't make the cut as a sipper for me. But it's good in a variety of mixed drinks. At the price paid I've got no complaints. It’s ok, not the best but certainly not the worst. Caramel and smoke, easy to drink neat, didn’t really notice much difference with ice/ water. At £17:99 at Aldi it’s ok.
Alcoholic immature rum, no special taste to find it in. The best thing on this rum is price. Typical caramel flavor mixed with an oak barrel note. Könnyű, zamatos rum. Egy hasonlóan könnyed szivarral kellemessé teszi az estédet. Your review – you could include things like color, aroma, body, taste, finish, spice, smoothness… really anything you want! You can also share an optional picture of the drink (or better still - you enjoying it!) by attaching a photo below. This Rum could be a great sipper on the rocks. It brings a nice caramell/Vanilla taste with it and appears to be pretty smooth. My major Problem with it is the little vinegard note in both smell and taste. Because of that its not one of my favourites but it is kinda okay to drink, at least straight. Absolutely no recommendation to drink this rum with Coke or in a cocktail due to ist strong charakter. The rum is golden-colored, you can smell thick aroma, smoky tones, spice, toffee. But there is nothing much in the taste and it bites in the throat. It is a similar rum to eg. Malecon, but not that great. Got this one for € 20,- in a discounter supermarket and didn't expect much from it. It tastes surprisingly well for that price! Pretty straight forward stuff, no complex flavours changing in your mouth but hey, better than any other 20,- rum I know! If you see a bottle of this, but it. As an entry rum and given the price it's ok I geuss. The nose gives away notes of sugar, caramel, oak and a bit of alcohol. It's not overly sweet but stil, on the palate I pick a note reminding me of sugarwater and caramel but also a bit of oak with a nicely bitter quality. The taste is slightly alcoholic, but not to badly. Mixes nicely and could work neat on a sunny day.